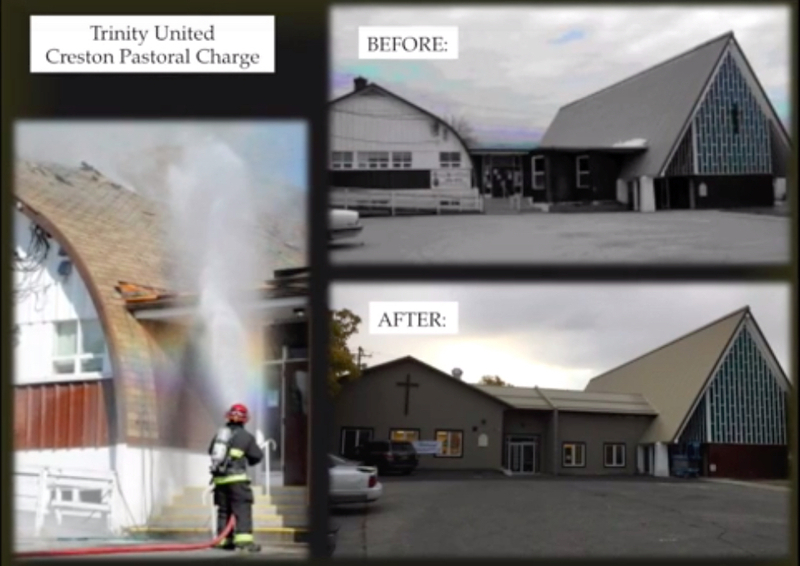 On September 22, 2015 our church building suffered a catastrophic fire. 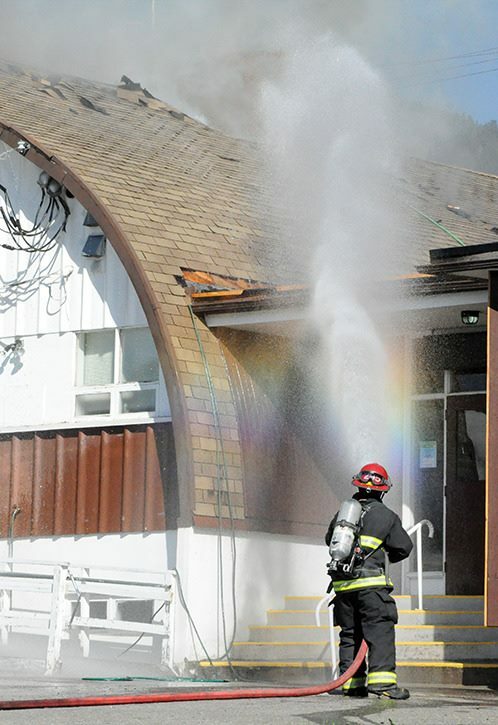 Trinity United Church in Creston lost its worship space, equipment, kitchen, meeting hall and archival documents as a result of this fire. 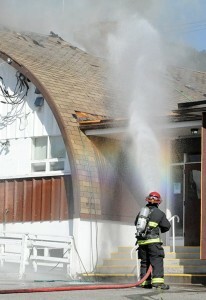 No one was injured as the church and the neighbouring housing complex were successfully evacuated. Housing complex residents are back in their homes, and folk from Trinity United will worship at an alternate location. The fire consumed the quonset and administrative buildings, and left the former worship space (now the Thrift Shop) standing, though with damage to the roof and now without electricity or water services. Please hold the congregation of Trinity United Church, Creston, in your hearts and prayers as we enter into a time of rebuilding together. Photographs of the demolition can be found on our facebook page. Enter your email address to subscribe to Minister's blog posts and receive notifications of new posts by email. Trinity United Church is a community of people who joyfully proclaim a loving God as revealed in Jesus Christ. As caring members of this church, we seek to do this by: •	joining together in worship, prayer and music; •	reading and studying the Bible; •	living a Christian life; •	nurturing both young and old in Christian education programmes; •	seeking justice for everyone; and •	continually sharing our faith, hope, talents and resources with our community, country and the world.